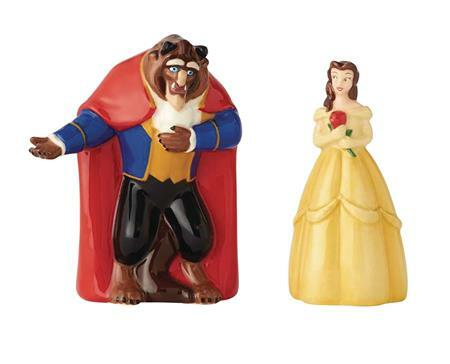 Add a dash of Disney to the kitchen table with this colorful set of salt and pepper shakers. Handcrafted and hand-painted to precision, the ceramic shakers capture the heartwarming appeal of Disney's beloved characters. Each shaker stands 3 1/2' tall. Choose from designs based on Snow White and the Seven Dwarfs (Snow White and the Evil Queen), Sleeping Beauty (Aurora and Maleficent), or Beauty and the Beast (Belle and the Beast).